Real Mexican Food at Lake Atitlan? 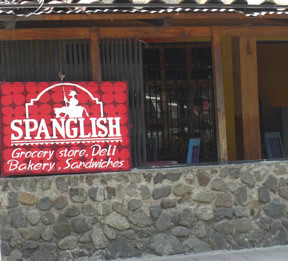 There’s only one restaurant I know of that serves authentic Mexican food: Spanglish in Panajachel. Recipes come from a family in Michoacan. They include tasty choices like the Carnitas de Michoacan, lean chopped pork that is some of the best in Guatemala. My favorite is the Cochinita Pibil, a pork dish that riginated in Yucatan and has spread across Mexico. The Cochinita Pibil at Spanglish tastes better than the expensive Los Cebollitas in Antigua and the capital. And the portions are huge. You get a pound of several entrees, which also include chicken dishes such as Tinga, for Q65. That’s enough to feed three people. Spanglish owner Axel just introduced a barbecue sandwich made with pulled pork and a sweet sauce. Spanglish also sells gourmet salsas, olive oil, spices and wine. It’s on Calle Arboles just past Circus Bar. The party takes place on March 22 in Santiago. Musicians from around Guatemala and beyond will be playing at Posada de Santiago and other venues in town. 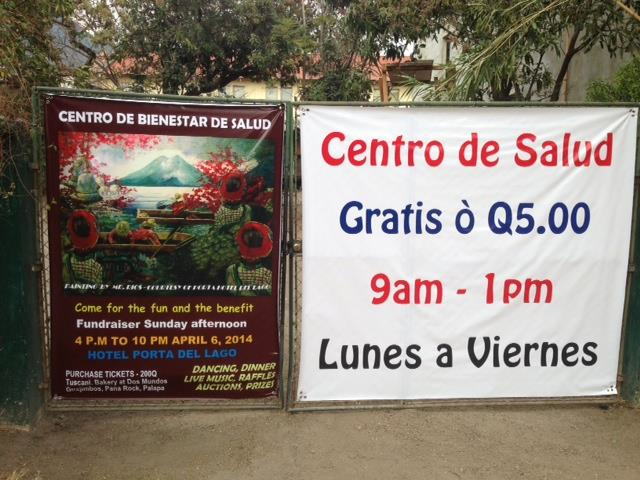 It’s all all-day event, with boats from Panajachel direct to the Atitlan Music Festival. 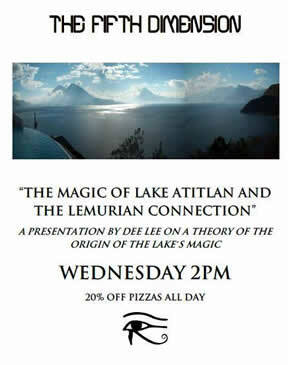 Some local legends link Lake Atitlan with the lost continent of Lemuria. There’s a free talk about this by Dee Lee on Wednesday, 2 PM, at The Fifth Dimension. And also an all-day pizza special, 20% off. Pizza 20% off All Day! Long Live Lemuria! It’s just between Hostel Fe and Hostel Casablanca. Dr. Louis Dr Pena Rosenwinkel just announced that free medicine and medical services for those who cannot afford them will be available at the new Health Clinic in Panajachel this month. The big party to celebrate is on March 6 at the Hotel Porta del Lago. Funds raised by ticket sales will help cover medicine for the young and old. The fiesta starts at 4 PM and lasts until 10 PM. Tickets cost Q200. Donations also accepted. Green, green, green from one side of Lake Atitlan to the other, this St. Patrick’s Day (March 17), when the top place to party in San Pedro la Laguna will be The Clover Restaurant on 7th Avenue. The Clover is the only Irish tavern at the lake, so arrive early and party late. On the way, get warmed up for the festivities at El Barrio Bar, Naked Sushi, Hostel Zoola, Hotel Mikaso and Casa Atitlan on the East Side, and Alegre Pub, Bar Fe and Fifth Dimension in the zona viva. Early birds: best daytime bar action will be at The Deep End Bar and Pool, The Blue Parrot Bar and Grill and Alegre Pub. In Panajachel, celebrate St. Patrick’s Day at Circus Bar and Cafe Atlantis. Like most places, they will have live music or DJs. IslaVerde — “green island” — is the place to go in Santa Cruz, while the folks in Santiago will be at Cafe Quila’s and Posada de Santiago.